Leadercast is the largest one-day leadership event in the world. 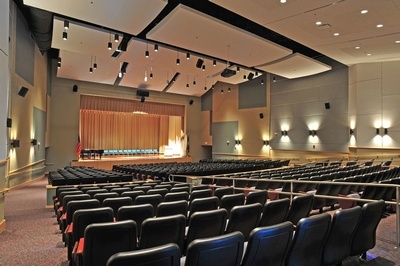 The conference is broadcast live from Atlanta to hundreds of sites around the globe and will be available for viewing at the Charles H. Kirbo Center in Bainbridge, Georgia. 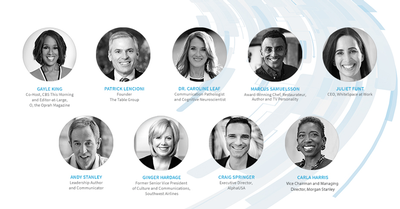 Leadercast will bring together experts in leadership and organizational health to help attendees master the art and science of developing and leading healthy teams. You will hear from world-renowned experts such as Gayle King and Andy Stanley to better enhance yourself and your team. Learn what it takes to ensure your team functions at its highest and healthiest by adding wisdom and resources to your leadership toolbox. 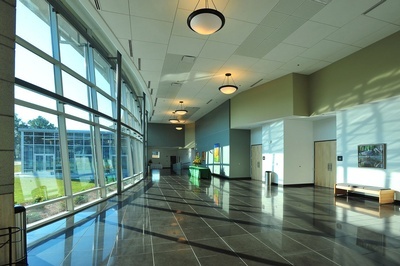 Attend Leadercast 2019 and you can also receive continuing education credits in human resources (HRCI and SHRM), nursing and general fields! Networking Activity: 8:30 - 9:00 am. 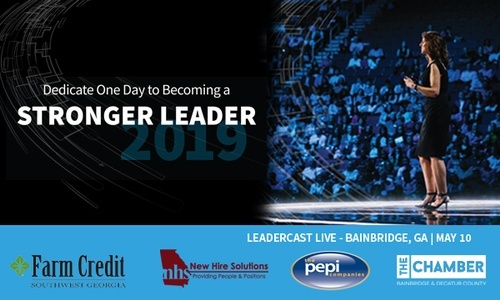 Thank you to our 2019 Leadercast Sponsors, Farm Credit, New Hire Solutions and Pepi for helping bring this wonderful event to our Business Community!